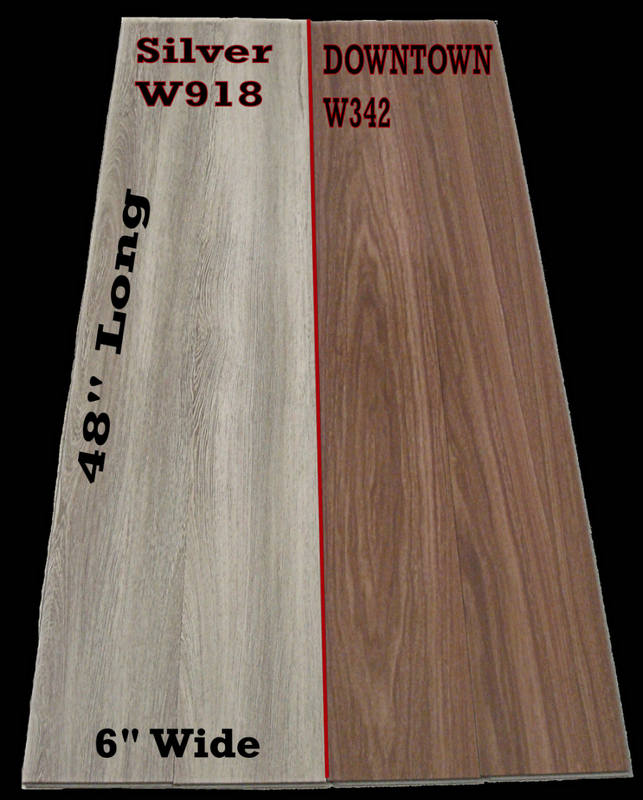 Mohawk Waterproof Premium Interlocking Luxury Vinyl Planks made in the USA. Great for active households and those desiring a Real Hardwood look while being waterproof. Does not crack, no grout to clean, not slippery or hard like tile, Pets will not scratch it. Much more comfortable to walk on than hard cold tile. Comes with a 20Mil thick commercial grade wear layer. 6"W x 48" L x 3/16" H.
Planks are 4 sided Micro bevel edged for that real wood plank look. Minimum installed jobs 270/Sft or $1,200.